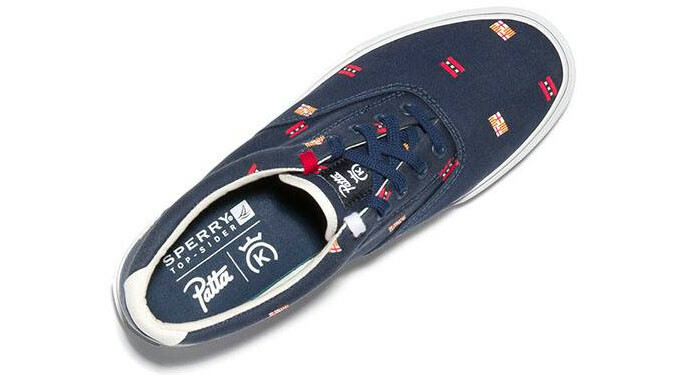 International boutiques 24 Kilates and Patta are collaborating with Sperry Top-Sider to take the summer vibes up another level. Using the Striper CVO sneaker as the recipient of the project, the collab takes inspiration from vintage nautical themes. 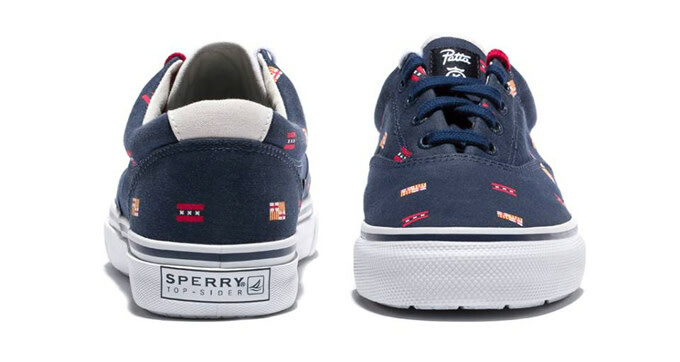 The canvas Sperrys feature a blue upper that&apos;s decked in the flags of Barcelona and Amsterdam to represent 24 Kilates and Patta, respectively. 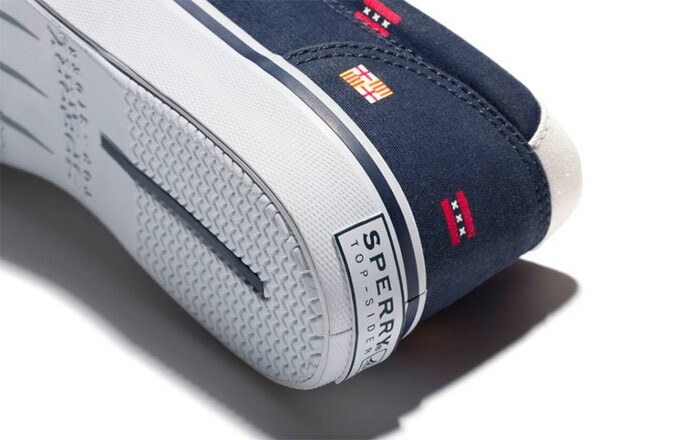 Rounding out the sneaker is branding from all three companies on the insert and tongue. Watch for this triple-threat collab to be available this Saturday, August 9, at 24 Kilates and Patta.